SANTA CLARA, Calif. /California Newswire/ -- SecuGen, a world leading optical fingerprint device and technology vendor, is pleased to be displaying the recently released U10 ultra-slim fingerprint sensor, at the 2018 Global Security Exchange expo in Las Vegas. SAN JOSE, Calif. /California Newswire/ -- NEXT Future Transportation Inc. ("NEXT" or "NFT"), the world's only modular electric vehicle solutions provider, today announced a groundbreaking automated logistics solution for Smart and Connected Cities. NEXT is proud to announce the introduction of its fully automated multiservice "online-to-offline" (O2O) platform. SANTA CLARA, Calif. /California Newswire/ -- SecuGen, a world leading optical fingerprint device and technology vendor, is pleased to announce that it will be showcasing the soon to be released Unity Bluetooth fingerprint reader and the U20-ASF-BT OEM Bluetooth sensor at the Global Security Exchange expo in Las Vegas this month. LA HABRA HEIGHTS, Calif. /California Newswire/ -- La Habra Heights is celebrating the 40th anniversary. XG Communities LLC, a premier provider of wireless, asset marketing and wireless management services for cities and municipalities across the United States, announces their agreement with the City of La Habra Heights to manage wireless coverage solutions and prepare the City for small cell applications. IRVINE, Calif. /California Newswire/ -- Cloudvirga, a leading provider of digital mortgage software, today announced the deployment of its Cloudvirga Enterprise POS to all 100 branch locations of American Financial Network (AFN), a privately held mortgage company that employs over 750 loan officers and serves tens of thousands of customers nationwide. CITY OF INDUSTRY, Calif. /California Newswire/ -- Congresswoman Grace Napolitano (CA-32) presented a Certificate of Congressional Recognition to Gordon Brush President and CEO, Ken Rakusin at a ceremony at the Company's 183,000 square foot manufacturing complex on Thursday, August 30, 2018. SAN DIEGO, Calif. /California Newswire/ -- ReverseVision, the leading provider of technology and training for the Home Equity Conversion Mortgage (HECM) industry, today announced that it is offering a combination of enhanced software functionality and professional services to help mortgage lenders launch proprietary reverse mortgage products. WHITTIER, Calif. /California Newswire/ -- XG Communities LLC, a premier provider of wireless, asset marketing and wireless management services for cities and municipalities across the United States, announces their agreement with the City of Whittier, preparing the City for small cell applications. IRVINE, Calif. /California Newswire/ -- Cloudvirga, a leading provider of digital mortgage point-of-sale (POS) software whose enterprise technology is powered by the intelligent Mortgage Platform, today announced that Finance of America Mortgage (FAM) will deploy the Cloudvirga Enterprise POS as its digital mortgage platform. SAN DIEGO, Calif. /California Newswire/ -- Mortgage Capital Trading, Inc. (MCT), a leading mortgage hedge advisory and secondary marketing software firm, announced new functionality that delivers real-time pricing and automates loan committing for Freddie Mac clients. MCT's lender clients receive the pricing information seamlessly via its integrated capital markets technology platform, MCTlive! MCT is the first vendor to have successfully completed the first commitment via Freddie Mac's new API technology. IRVINE, Calif. /California Newswire/ -- Cloudvirga, a leading provider of digital mortgage point-of-sale (POS) software whose enterprise technology is powered by the intelligent Mortgage Platform, has partnered with Radian Guaranty, a subsidiary of Radian Group (NYSE:RDN), to deliver instant and accurate mortgage insurance (MI) rate quotes and streamline the ordering of MI certificates for lenders. SAN DIEGO, Calif. /California Newswire/ -- Mortgage Capital Trading, Inc. (MCT), a leading mortgage hedge advisory and secondary marketing software firm, announced automation of the Tri-Party Agreement required between lenders, investors, and broker dealers during Assignment Of Trade (AOT) transactions in the secondary market. The functionality is built into MCT's Bid Auction Manager(TM) (BAM) bid tape management and best execution platform. NEWPORT BEACH, Calif. /California Newswire/ -- CEO Rick Triola, founder of the industry's most popular remote online notarization solution, NotaryCam, calls the Dept. of Treasury's recommendations in its July 31 report to the President: A Financial System That Creates Economic Opportunities: Nonbank Financials, Fintech, and Innovation "a cure to the persistent drags on real estate transactions that have prevented the consumer from experiencing the benefits now possible with digital technologies." 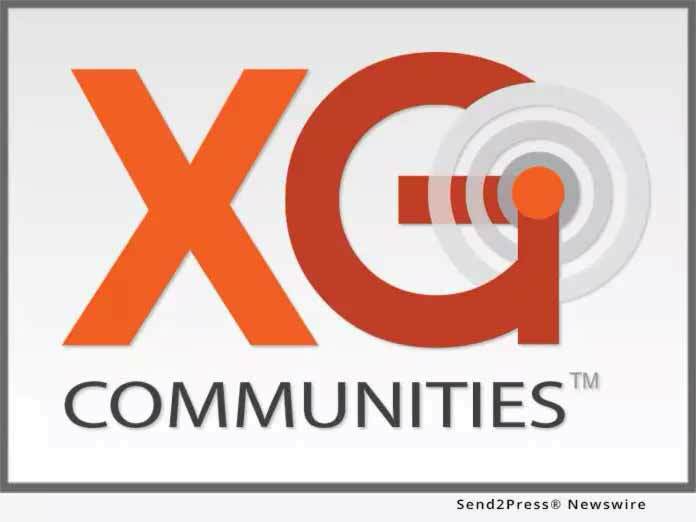 FRESNO, Calif. /California Newswire/ -- Today, XG Communities, LLC announced the first of over 100 new 4.9G / 5G small cell sites utilizing city-owned infrastructure in the City of Fresno. The network, which is scheduled to be operational by the end of 2018, will cover over half of the City with the latest wireless technology. This places Fresno as a clear market leader among the first cities nationwide to commence the roll-out of advanced small cell networks. NEWPORT BEACH, Calif. /California Newswire/ -- NotaryCam today announced that it has partnered with Accurate Group, a leading provider of technology-driven real estate appraisal, title and compliance services, to provide remote online notarization services for NotaryWorks(TM), Accurate Group's complete notary solution. LOS ANGELES, Calif. /California Newswire/ -- Optical Zonu Corp, a U.S. carrier-approved supplier of RF-Over-Fiber transport solutions and fiber monitored digital transport, has released a version of their GPS Fiber Transport specifically designed for providing the GPS connectivity for C-RAN hubs. This feature now offers 8 and 16 outputs with optional auto-switchover redundancy. SAN DIEGO, Calif. /California Newswire/ -- C3 Risk & Insurance Services today announced the launch of its new SaferWorks smartphone technology for businesses to use in documenting inspections. The app is designed to be extremely simple and easy to use by both the company administrator and by the company end users. LOS ANGELES, Calif. /California Newswire/ -- Optical Zonu Corp ("OZC"), a major manufacturer of analog and digital fiber optic solutions, is pleased to announce a new RF over Fiber solutions partnership with Sayres & Associates and Cogitari. TORRANCE, Calif. /California Newswire/ -- DocMagic, Inc., the premier provider of fully-compliant loan document preparation, regulatory compliance and comprehensive eMortgage services, and MortgageHippo, a Fintech-driven digital lending platform, announced a seamless eSign integration between their two platforms. NEWPORT BEACH, Calif. /California Newswire/ -- NotaryCam, Inc. today announced the return of its annual "Help a Hero" initiative. This Memorial Day weekend from Friday, May 25, through Monday, May 28, 2018, NotaryCam will honor those who have served by offering no-cost online notarization sessions to United States military veterans and service members. LA VERNE, Calif. /California Newswire/ -- XG Communities LLC, a premier provider of wireless, asset marketing and engineering services for cities and municipalities across the United States, announces their agreement to market and manage wireless coverage solutions for the City of La Verne, California. ONTARIO, Calif. /California Newswire/ -- MAG Instrument Inc. (MAG), the world leader in flashlight technology, has been awarded the National Hardware American Manufacturing Award for Best New Product for the second year in a row. The award was presented to MAG by John Lederer with the National Hardware Show (NHS) and Marcie Gabor of the Made In USA Brand. The Maglite ML150LR LED Rechargeable Flashlight System was selected out of eight finalists to receive the award. ONTARIO, Calif. /California Newswire/ -- MAG Instrument, Inc. will once again be a major sponsor of the National Hardware Show and demonstrate its commitment to American manufacturing being the Co-Title Sponsor of the "MADE IN USA Pavilion." MAG is committed to making its products in the U.S.A. and educating consumers as to the quality and craftsmanship that separate U.S. products from those made overseas. VILLA PARK, Calif. /California Newswire/ -- XG Communities LLC, a premier provider of wireless, asset marketing and engineering services for cities and municipalities across the United States, announces their agreement to market and manage wireless coverage solutions for the City of Villa Park, California. FREMONT, Calif. /California Newswire/ -- Delta Care Rx, a leading pharmaceutical innovator in end of life care, has been named one of the "Top 10 Pharmacy Management Solution Providers of 2018," according to Healthcare Tech Outlook, a digital and print magazine publication of Valley Media, Inc.
IRVINE, Calif. /California Newswire/ -- Cloudvirga(TM), a leading provider of digital mortgage point-of-sale (POS) software whose enterprise technology is powered by the Intelligent Mortgage Platform(R), today announced its completion of a fully automated, lights-out integration with Mercury Network, part of CoreLogic (NYSE: CLGX) and one of the industry's largest appraisal order management platforms. SANTA ANA, Calif. /California Newswire/ -- Veros Real Estate Solutions (Veros), a leading developer of enterprise risk management, collateral valuation, and predictive analytics services, and mortgage document preparation vendor International Document Services, Inc. (IDS) announced today that they have partnered to provide lenders with a fully integrated automated delivery solution for submitting the Uniform Closing Dataset (UCD) to the Government Sponsored Enterprises (GSEs). IRVINE, Calif. /California Newswire/ -- Cloudvirga, a leading provider of digital mortgage point-of-sale (POS) software whose enterprise technology is powered by the intelligent Mortgage Platform(, today launched single-click submission of loan data to both GSEs' automated underwriting systems (AUS) in a collaborative effort with Freddie Mac, delivering on the industry need for greater transactional ease. LA PUENTE, Calif. /California Newswire/ -- XG Communities LLC, a premier provider of wireless, asset marketing and engineering services for cities and municipalities across the United States, announces their agreement to market and manage wireless coverage solutions for the City of La Puente, California. CITY OF INDUSTRY, Calif. /California Newswire/ -- Gordon Brush Mfg. Co. worked with the inventors of the PlateScrape to create an environmentally friendly, revolutionary, new, effective, and simple way to pre-sanitize dirty plates in restaurants, hotels, convention centers, and banquet halls. LOS ANGELES, Calif. /California Newswire/ - iMobie, a leading software developer for iOS and Android, today announces that its cutting-edge data recovery software PhoneRescue is now able to recover forgotten iTunes backup password. For those iPhone users who failed to remember their iTunes backup passwords, PhoneRescue can easily help them get access to their encrypted backups no matter how complicated the password is, and restore photos, messages, contacts and other essentials from the backups successfully. TORRANCE, Calif. /California Newswire/ -- DocMagic, Inc., the premier provider of fully-compliant loan document preparation, regulatory compliance and comprehensive eMortgage services, announced that Deutsche Bank has successfully implemented and is actively utilizing its proprietary eVault technology. IRVINE, Calif. /California Newswire/ -- Cloudvirga(TM), a leading provider of digital mortgage point-of-sale (POS) software whose enterprise technology is powered by the intelligent Mortgage Platform(R), today announced a major update to the Cloudvirga Enterprise POS. New features designed to improve lender speed, compliance and productivity will make the platform's 4.0 release the most robust POS solution on the market.